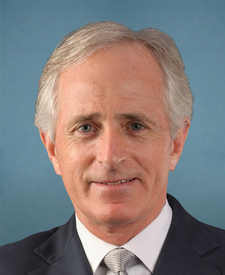 Compare the voting records of Bob Corker and Steve Daines in 2017-18. Represented Montana. This is his 3rd year in the Senate. 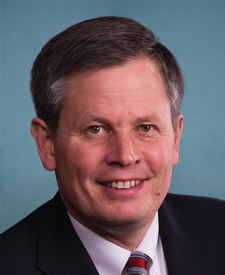 Bob Corker and Steve Daines are from the same party and agreed on 93 percent of votes in the 115th Congress (2017-18). But they didn't always agree. Out of 573 votes in the 115th Congress, they disagreed on 42 votes, including 6 major votes. Dec. 13, 2018 — A joint resolution to direct the removal of United States Armed Forces from hostilities in the Republic of Yemen that have not been authorized by Congress. Joint Resolution Passed by a margin of 15 votes. Dec. 13, 2018 — To clarify that the requirement to remove United States Armed Forces does not apply to forces engaged in operations to support efforts to disrupt Houthi attacks against locations outside of Yemen, such as ballistic missile attacks, unmanned aerial vehicle attacks, maritime attacks against United States or international vessels, or terrorist attacks against civilian targets. Amendment Rejected by a margin of 9 votes. June 18, 2018 — In the nature of a substitute. Motion Agreed to by a margin of 67 votes. June 14, 2018 — To require congressional review of certain regulations issued by the Committee on Foreign Investment in the United States. Cloture Motion Rejected by a margin of 27 votes. March 20, 2018 — A joint resolution to direct the removal of United States Armed Forces from hostilities in the Republic of Yemen that have not been authorized by Congress. Motion to Table Agreed to by a margin of 11 votes. Oct. 19, 2017 — To modify a deficit neutral reserve fund relating to public land and the environment to address making payments under the payments in lieu of taxes program equivalent to the property tax revenue that would be due to a State or local government if the State or local government owned the land. Amendment Rejected by a margin of 0 votes. Oct. 19, 2017 — To establish a deficit-neutral reserve fund relating to the provision of full, permanent, and mandatory funding for the payment in lieu of taxes program.